Long before cellphone usage became a universal obsession and Twitter, Instagram, YouTube and Facebook were filled with viral videos, there was Rodney King, and “the” incident that changed policing. In March 1991, a silent video caught three Los Angeles police officers (supervised by a sergeant) throwing an unknown black man (later identified as King) to the ground where he was Tasered, kicked, stomped on, and hit 56 times with a baton. More than 20 officers responded to the call after King led police on a high-speed chase over a possible speeding infraction. Half of the officers stood by as King was beaten to a pulp. He suffered eleven skull fractures. King recovered from his injuries. But King, who had struggled with alcohol and drug abuse, would never recover from his demons. In 2012 he was found dead in his swimming pool, just east of Los Angeles. He was 47. After his beating 21 years earlier, the public was outraged. LAPD’s approval rating plummeted. A year later after the three officers were acquitted of all charges, the City of Angels burst into flames, and the sound and fury of rioting was captured on better-quality video and broadcast by networks around the world. L.A. cops were abusive, racist and unaccountable. That was the widespread view. Chief Daryl Gates stepped down, but little changed. A few years later, near the turn of the century, another scandal reared its head in the Rampart Division in west L.A. when 70 officers were implicated for unprovoked beatings and shootings. The rot ran deep. Criminal cases were overturned. Cops had created a culture of their own. Evidence was fabricated. Rampart cops targeted young, poor, working-class African Americans and Latinos. It was the police who promoted violence, stole money, and sold drugs. The investigation made no mention of race or ethnicity as factors in the corruption. It said a lack of managerial oversight and a failure to properly review reports were the primary causes of this institutional breakdown. The city faced 140 civil lawsuits and estimated settlement costs of $125 million. When the federal Justice Department saw the chaos and the backlog of cases, it intervened and issued a “consent decree” (a police agreement with the federal government that allows oversight of troubled forces). LAPD was forced to bring in an outside team to oversee its auditing process and hopefully offer fixes that would dramatically change its operational model. It began one of the most ambitious attempts at police reform ever in a major North American city. In 2002, Toronto-based forensic accountant Hazel de Burgh was named as one of the independent monitors. She and her talented team of number crunchers put in years of work and it was one of the reasons why LAPD is now being lauded as one of the most transparent, fair and diverse forces on the planet. de Burgh is a stickler for details and pulverizes numbers into a powdery substance before sprinkling it generously over problems that seem unsolvable. She was not only one of the strongest voices in the substantial re-do in L.A., but also Detroit, and even the Ontario Provincial Police. The Pointer talked to her recently, in light of serious issues now facing Peel police – another force under siege, and in transition. While there’s never been viral video like the King case to bring Peel’s problems into sharper focus, its numerous in-house problems run deep, and include many that forced L.A. to seek a realignment: police misconduct, a culture that often shows little respect for the justice system, lack of diversity, little transparency, charges of discrimination in its hiring and promotions practises, and a nagging feeling that it doesn’t represent the core values of the community it serves and protects, Brampton and Mississauga. A two-part feature run last year in The Pointer, laid bare many of the issues that continue to dog a force that was formed in 1974 as part of regionalization. Today, it is transitioning from chief Jennifer Evans, who faced mounting problems and resigned last month, to a new boss who will be picked sometime this year. It is also in the midst of a diversity and equity audit that was finally supposed to be unveiled last November, after being completed a year earlier, but wasn’t. After the municipal elections in October, a new-look police services board (including Brampton mayor Patrick Brown) was also unveiled and it will oversee picking a new chief and, hopefully, deliver the audit that was paid for by the public. de Burgh’s fascinating story offers a firsthand account of how LAPD was a tight-lipped, inward-looking behemoth with a penchant for misconduct that only exacerbated the trust gap between it and the civilians it was charged with serving and protecting. It is now one of the most progressive institutions in California, a model for police forces all over the planet. In the days leading up to the Rodney King incident, LAPD had walled itself away from public scrutiny. It was charged with doing the next-to-impossible – covering 470-square-miles of crime-riddled turf, and populated with druggies, organized crime members, and gangbangers brandishing automatic weapons in the middle of the day. A thin blue line separated them from the public. Identifying the good from the bad was one of the biggest challenges facing officers. The streets created a natural divide: the police versus the bad guys, and the police versus the public. The taxpayers were naturally inclined to give police the benefit of the doubt because they worked in the midst of life-and-death situations. The force bristled whenever anyone dared question the way it conducted business. Then Rodney King happened. Then the Rampart investigations revealed a dark, sinister, underbelly. Both led to reports and external probes, but critics said they were too pro-police. After Rampart, LAPD was given no choice: it was mandated to accept change – and this change must be driven by outside forces. Kroll Inc., an international risk consulting firm based in New York, was assigned the task. It also had an office in Toronto and de Burgh was a principal. She was tapped by company officials to take her number-crunching skills to the west coast and see what she could offer. Quite a lot, as it turned out. The internal audit would take years, and de Burgh crisscrossed the continent – one foot in Canada, the other in California. Some of the key reforms ran the gamut, from tighter controls on gang units, improved investigations of misconduct complaints, a new system to identify potential at-risk behavior, stricter oversight on the use of force, and better ways to collect data after pedestrian and motor vehicle stops. The consent decree also demanded integrity audits to evaluate all the other policing tools: arrests, warrants, use of force, handling of confidential informants, training methods, and financial disclosures. It was to be a total cleanse, and Kroll assembled an all-star team, including former New York City commissioner, William Bratton. If you had told de Burgh she would be a police reformer after she won her undergrad degree in mathematics from the University of Waterloo (with a chartered accountant option), she might have questioned your sanity. But sending her into the hardboiled world of American policing, wasn’t that much of a stretch. As she progressed through her work life to become a forensic accountant working for major public companies, she had also dipped her toe in policing. In 1986, she moved over to the OPP to help with its financial investigations. When Kroll tapped her to help fix what ailed the LAPD, she had already been on the police side of the barricades, so to speak. But L.A. was a cultural shock. While the accounting business was almost all male, policing was even more macho, and her first intrusion to upgrade the force’s auditing standards was not warmly received – to put it mildly. A layman might ask why auditing is needed in policing, but in this case, we’re not talking about financial records. For example, there’s a need to formulate reviews and reports used by forces on an unwilling and combative suspect involved in a high-speed chase or a gun battle. Paul McLaughlin, a communications consultant and freelancer writer, captured de Burgh’s story in CAmagazine.com, and met with many of the police personnel she had to deal with during her time hopscotching between her two worlds – Toronto and L.A.. He said it was de Burgh’s penchant for detail, and her dogged determination to upgrade LAPD’s auditing standards that finally won over her police partners. Another of her initiatives, says McLaughlin, was for the police’s audit division to reduce the size of the samples it was using [especially in use-of-force and arrest reports] to save time and work. This statistically valid sampling methodology was accepted by not only the LAPD, but the U.S. Justice Department which was closely monitoring the changes. These were tense times and de Burgh had to stickhandle her way carefully past some giant egos, but in the end, it was her ability to live the experience inside the department and apply her auditing skills to the challenges faced by officers every day, that helped create a system which is now a model to the world. One night she was taken to the scene of a shooting where a suspect was shot and severely injured by police. She inspected the scene, listened to witnesses, and concluded it was a justifiable use of force. She also rode in a police helicopter at night and went with officers in a patrol car. Seeing firsthand the dangers faced by officers helped create a more nuanced internal auditing system. It prepared her when she was later hired by the Detroit Police Department to do much the same thing. It had two consent decrees from the Justice Department – the mutually binding agreements between the federal government and a police force in crisis that allows the DOJ to oversee the reform of the force – and the skillful way she broke down the initial suspicion and hostility allowed her to feel comfortable in the Motor City audit. McLaughlin points out that before de Burgh arrived in L.A., its own audit division rarely achieved a positive compliance rating. But the audit is now “a shining star, thanks in great part to Hazel,” said former police commission president Gary Chaliff, the man charged with implementing the consent decree. 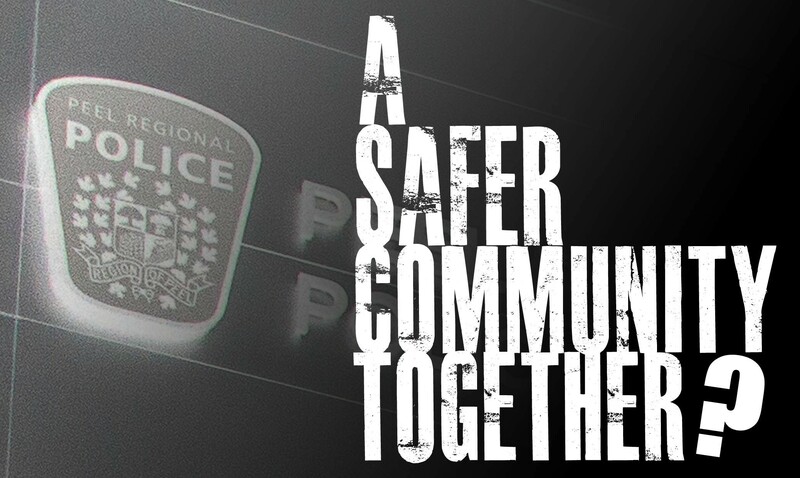 Pushing and prodding police departments to change their ways and become even more professional, is the challenge now faced by Peel police. de Burgh’s story shows it can be a positive endeavor. When the L.A. riots began in 1992, the police department was more than 60 percent white. It’s now half that and will soon have 7,000 officers wearing body cameras, an accountability and safety measure that also improves police practices. Peel police has yet to adopt body cameras which are becoming common in large forces across North America. LAPD also publishes use of force and officer-involved shooting details online. It has moved to a community-driven mandate. A Harvard Kennedy School study looked at the dramatic changes since the riots, and L.A. residents now trust the LAPD more than any other local institution. A survey by Loyola Marymount University said a big majority of residents think officers will do the right thing all, or most of the time. Last year the force commissioned a study on bias in policing and found 73 percent of residents strongly or somewhat approved of their work. The previous Peel Police Services Board, led by Mississauga Mayor Bonnie Crombie and former Brampton mayor Linda Jeffrey, took an aggressive approach to solve its internal problems in 2015 when it asked Evans to eliminate its carding (police street checks) program, and use a private-sector company to conduct a diversity and equity audit into its hiring practices. Evans ignored the call to stop carding, lashed out at the board that oversaw her force for calling the audit, and never did issue it publicly during her time in the top job, despite its completion more than a year before she resigned. But 2019 will see transformative change, first in picking a new chief, secondly, in adding new members to the police services board (including Mayor Brown) and, finally, issuing the diversity and equity audit. de Burgh has been an avid follower of all issues impacting police forces across North America, but she is reluctant to comment on the Peel situation because she is not privy to the details of the audit that was conducted, and no report has been issued, anyway. What we have learned is that south of the border, the future of consent decrees is very much in question. The revamping of the policing model in cities is now under assault by President Donald Trump’s administration. There were 15 such agreements in American cities, including Ferguson, Missouri, where the 2014 police killing of an 18-year-old black man, Michael Brown Jr., led to riots and a deep divide in the community over the conduct of the police. A DOJ investigation of the community’s police force was deeply disturbing. It revealed that police treated the African American community as little more than a revenue source for the municipality; its members were chronically harassed by the police, whose officers ignored basic constitutional rights and practised a form of policing which was effectively a criminal enterprise. Many members, including the chief, either resigned or were dismissed. When Jeff Sessions was Attorney General, until he was ousted by Trump, he placed all pending consent decrees under review. Is this simply a pro-police response? What happens to cities that have the same problems as L.A. did and are in desperate need of reform? Audits are transparent and build trust within a community. Trump’s team had decided otherwise. Is that why Jennifer Evans did not present the audit in Peel and resigned before it was ever made public? Peel has the third largest municipal police force in Canada, and has been under fire for years. In a recent five-year period, 640 of the force’s 1,900 uniform officers (the average number during the period) had been disciplined for misconduct – by far the worst stats in Ontario, three times the rate of the next worst force. Couple that with the fact only 13 percent of its officers are visible minorities, which isn’t even close to those they serve: 74 percent in Brampton, and 57 percent in Mississauga. During the heyday of carding (2009-2015) 25 percent of those stopped were African-Canadian, who made up only 9 percent of the population. The charges of racial insensitivity when it came to hiring and promotions was illuminated in the case of Detective-Sergeant Baljiwan (BJ) Sandhu. The Indian-born officer who spoke four languages and spent 872 hours as an acting inspector, was turned down for entry into a competition for promotion to a full-time inspector position, sending his case to the Ontario Human Rights Tribunal which ruled he had been discriminated against after evidence in hearings revealed a widely discriminatory culture inside Peel police which had a frat house mentality toward diversity. The cases of officers being charged with assault, taking money, fiddling with evidence, and even botching a multiple-murder investigation (the Harrison family case) are well documented, and continue to stain the force. A Pointer poll conducted by Forum Research in August asked citizens if they thought the police were doing a good job, and only 45 percent of 999 Brampton residents said yes. A more troubling response came when people were asked if they felt safer today than four years ago. Only ten percent said yes. The Pointer’s two-part series last year made a clear case for systemic rot, overt discrimination and a need for new blood at the top. It’s time to release the audit, pick a progressive candidate for chief that will be driven to clean up the force, and make the police service board continue the progressive transformation Crombie began in 2015, to make the board more transparent and less a rubber-stamp for police pay hikes. The civilian oversight body should create a new and more progressive governance model. It’s contemptuous that an audit completed almost two years ago, paid for by the public and conducted by an outside team, has yet to be released. The way ahead is clear for the police in winning back the trust of the public. Don’t bristle when outsiders look inside the force. If it worked in L.A. or Detroit, or any of the other 15 cities currently being examined in the U.S., it will work here. The Police Services Board should do its job and hold the forces’ feet to the fire and demand changes that will win the trust of the public. The move to a more community-based police model is overdue, and it’s way past time to break down the us versus them mentality that has infested Peel police for years and built barriers between it and the public. She says the breakthrough moment in her work with the LAPD came when the junior people she was working with in the police department started listening. Everyone put away their egos, and things began to change. Does she believe a change at the top is critical to driving improvements? “Absolutely,” she says. LAPD plucked Bratton from his consulting position with Kroll and named him their new chief, and he made doubly sure sweeping new changes proposed in the audit of the city’s force, with de Burgh’s guidance, were implemented. Sure, there have been seemingly insurmountable problems in L.A., and policing faces a multitude of pressures, from both inside and out. It’s both a process and people-driven profession. Changing a culture takes time, but once set, the trust between public and police starts to build. de Burgh is a high-energy executive who says creating value only comes with an effective governance model that is shared by those who benefit and those who serve. Whether it’s a multinational private company, or a police force, making a risk-management assessment of long-held practises is essential from time to time. It’s critical that a new set of eyes be brought in to study a police force that has lost touch with the public, which was the case in Los Angeles. A lot of things had to happen for LAPD to find its way back to respectability: a video of the Rodney King beating; the revulsion over the practice of dirty cops in the Rampart Division; the Justice Department demanding change; the force accepting external monitors; the departure of bad elements at the top; creation of a new model that worked; and a full public buy-in. Oversight in the U.S., where the federal government routinely gets involved with municipal forces, is different than Canada, where the feds never get involved and even provincial oversight often takes the attitude that compliance and governance is the job of local police boards. That puts even more pressure on local forces and the civilian boards that oversee them to pick the right chief. She or he has to hire officers who follow practices that are colour-blind and community-driven, utilize technology such as body cameras and approach crime fighting and prevention in a modern, sophisticated way. The public doesn’t deserve a force that is riddled with misconduct, racializes its hiring practices, and is tone-deaf when it comes to being transparent with the public it serves. The blame game started immediately after the Rodney King video went viral. Today, social media platforms are now everywhere, and almost everyone has a cellphone to record what they see and hear. It’s near impossible to hide the bad behavior of rogue cops. These videos shine a light on a vocation that for years was above public scrutiny, and too often above the law. The police have been pulled kicking and screaming into the modern world by modern-day technology. There has been a giant reordering of the police model almost everywhere, but in Peel movement has been much slower. To its credit, the force has stepped up efforts to recruit in Peel’s incredibly diverse communities and many youth initiatives to engage young people are showing signs of success. But it has often felt that these progressive, obviously needed moves, have been the result of public pressure and external influence, instead of coming from within a force that itself leads the way toward building deep trust with the people it serves. In 2015, the police services board voted to suspend carding – and Evans refused to comply. They also hired an outside company to conduct a diversity and equity audit – and Evans grumbled and failed to release the results. In 2017, when the Human Rights Tribunal found that a decorated officer had been discriminated against by the force and that it “devalued” policing in the region’s huge South Asian community, there was no apology from Evans or anyone else representing the force. The force amended its carding practice in 2017, only after Queen’s Park stepped in. Then last year, knowing that the practice is reviled by huge constituencies within the public she served, Evans complained that carding restrictions led to a spike in violence, without furnishing any evidence – which is what a good cop is supposed to do. A number of experts and other police chiefs in Ontario and even the judge, Michael Tulloch, leading a provincial review of carding and other policing practises, all came out publicly, criticizing Evans for her ill-conceived comments. She was put under investigation by the Office of the Independent Police Review Director (OIPRD) over her force’s failure and bungled investigation to catch a now-convicted murderer who, over a period of years, killed off members of Mississauga’s Harrison family. The results of the OIPRD investigation into Evans’ conduct have not yet been released. It’s possible a new chief will be heading the force by the time they are. 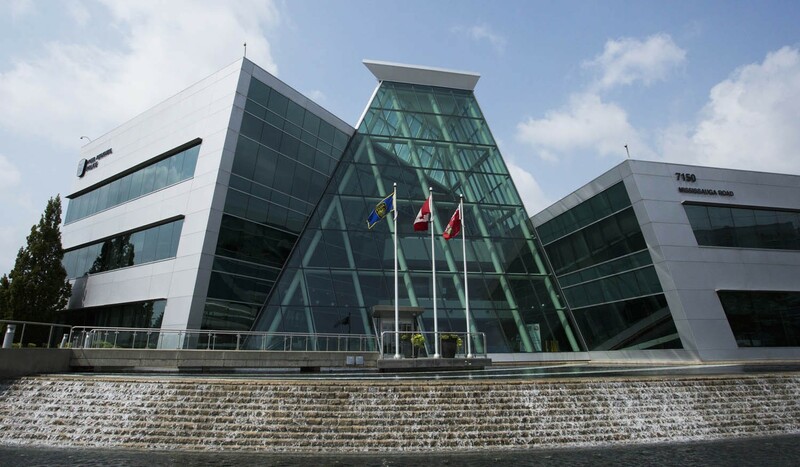 A sweeping audit like the one done in L.A. and in other cities would run the numbers in Peel for many of its practises and come up with solutions to help lead the force into the future. Are we really under-policed and in desperate need of more officers, as Mayor Brown claims? If so, is it more a question of how new officers are selected, trained and deployed with modern skills and sophisticated know-how in crime prevention, rather than just throwing more bodies at the increasingly complex problems? Maybe the focus should be on quality, not quantity? ; and how officers are used? Are recruits being hired for their cultural competency, including knowledge of languages commonly spoken where police activity happens and the ability to gather intelligence from diverse communities where some might not trust officers who don’t look like them? The time for change has come, and that means picking a dynamic new chief, releasing the equity audit, following its recommendations, and rebuilding the trust between the public and a force that seems off the rails. That clunky video recorder that taped the Rodney King takedown, opened millions of eyes to the truth of what sometimes happens in policing. Nothing has been the same ever since.